Amelia Bonow, center, with excellently dressed friends. Photo by Kelly O.
Amelia Bonow didn’t mean to become an abortion rights activist. With friends and family, the 30-year-old Seattle resident has never been quiet about the fact that she got an abortion a year ago. But she didn’t expect her personal story to become international news. That's what happened after she posted about her experience on Facebook last Saturday. 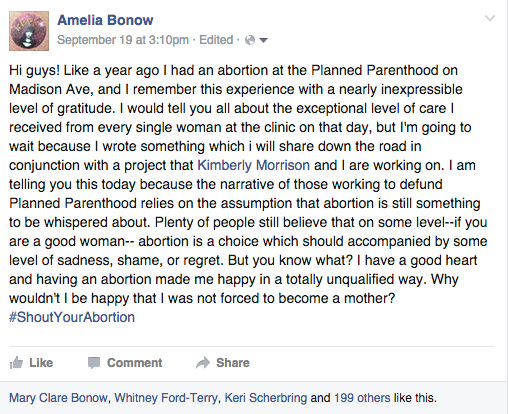 “Why shouldn't I be happy that I wasn't forced to become a mother?” she asked, adding the hashtag #ShoutYourAbortion. With her permission, the quick status update was reposted on Twitter by her friend Lindy West. The hashtag #ShoutYourAbortion exploded. Over the past week, the hashtag has become a place for thousands of people to share their personal stories of getting abortions. The idea that telling abortion stories can help combat stigma—and in turn transform cultural attitudes about the issue—is nothing new. 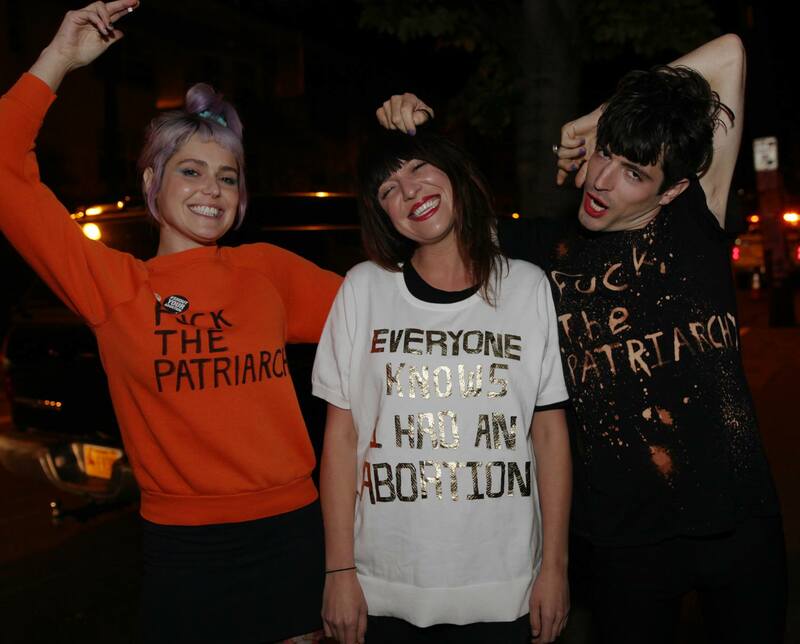 A belief in the potential power of “coming out” about our abortion experience dates back at least to the abortion speak-outs of the pre-Roe era and, in the last decade, has been resurrected in “I had an abortion” t-shirts and hashtags, as well as political spaces for people who’ve had abortions to connect. Bonow hadn’t decided what shape her abortion-stories project would take. But then, last Friday, she read the news that Congress had voted to defund Planned Parenthood. Bonow was supposed to be spending the day writing a paper for grad school. Instead, she spent the day crying. The next afternoon, she decided to share her story on Facebook. The idea of shouting abortion stories clearly resonated—the hashtag quickly took off. 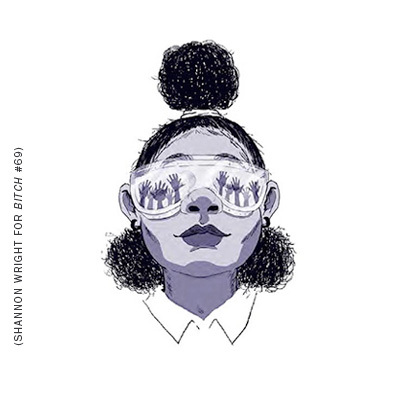 Thousands of people have posted their abortion stories on Twitter, Facebook, and Tumblr, putting personal stories behind the statistic that one in three American women will get an abortion during her lifetime. A new study examines the way abortion is represented on TV—when it's discussed at all.